We offer high quality Permanently filled hydrodynamic fluid coupling. permanently filled hydrodynamic fluid coupling according to the föttinger principle; 15 types and 16 sizes in three series. We offer a wide range of fluid coupling, which is rugged compact solid shaft unit and comes with additional benefit of control nozzles and delayed filling chamber. Parker is a global leader in fluid management and electronic controls for the aerospace industry. Our unrivaled pedigree and track record allows us to function as a partner or a tier-one system integrator, helping customers move rapidly through all critical development stages. 0.1 kW to 1000 kW. A wide and comprehensive array of Constant Filled Fluid Coupling is included in our product array. This Constant Filled Fluid Coupling is available in many specifications that are desired by the customers. Further, our Constant Filler Coupling is corrosion resistant and available in the market at most reasonable rates. 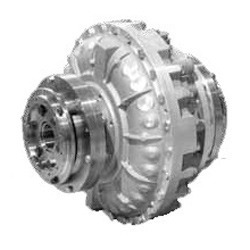 A fluid coupling is a hydrodynamic device used to transmit rotating mechanical power.It has been used in automobile transmission as an alternative to a mechanical clutch. It also has widespread application in marine and industrial machine drives, where variable speed operation and/or controlled start-up without shock loading of the power transmission system is essential. 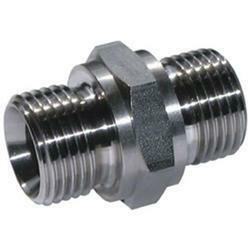 We are proud to offer a wide range of threaded fittings for most fluid. This fitting is the one on the left in the photo. It has a 90 degree elbow on it. On the right is a 90 degree elbow with a threaded fitting to screw into the rotating the front. We offer Fluid Couplings to be used in various industries on heavy load. This is a mechanical soft starter which starts induction motor with low starting current and suitable for smooth starting of heavy inertia load. These are available in different models to suit different applications. Top quality for general purpose use and especially suitable for all steam conditions, compressed air and other gases, chemicals and organic compounds. Composed of SBR binder with long grode and chrysofile asbestos fibre. - Fluid Coupling transfers the power or torque from prime-mover to driven machine by means of fluid medium. Since there is no mechanical connection between input and output members, the power is transmitted smoothly, absorbing the shock loads inherent in many driven equipments. Eaton's customized Fluid Conveyance lines meet your need for innovative products at optimized cost and NVH performance through extensive research & development as well manufacturing capacities.